Berkeley Methodist United Church has its roots in two churches, the Berkeley Japanese Methodist Church and the Berkeley Japanese Christian Church of the Disciples of Christ, which began in 1892 and 1903, respectively. 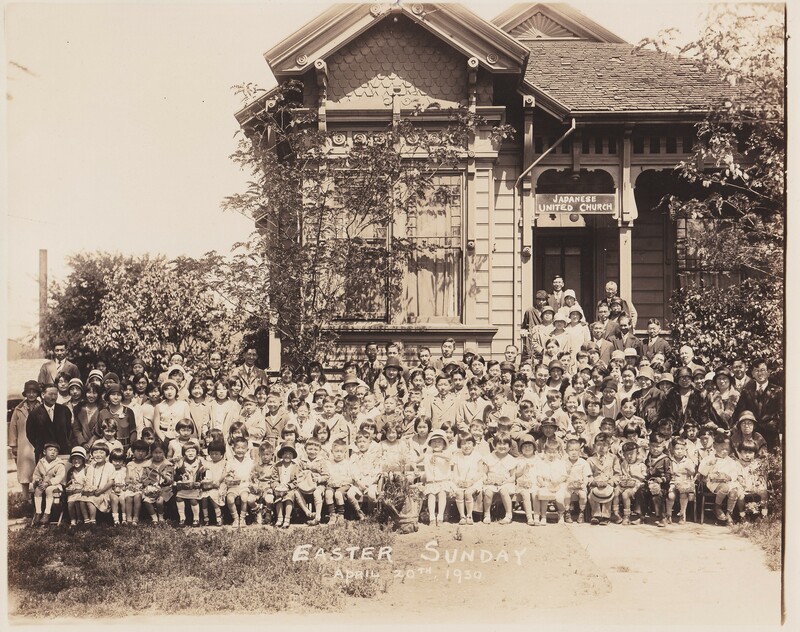 The Berkeley Japanese Methodist Church started as a branch of the Oakland Japanese United Methodist Church, holding informal meetings at Jihei Suto’s home on Fulton Street with Oakland’s Rev. Shokichi Doi preaching. From 1903-06, another student Christian group in Berkeley met under the leadership of Dr. H. Guy in member homes and later in a rented room above the Blue and Gold Grocery Store on Shattuck Avenue. Under the influence of Rev. Kojiro Unoura, this group joined the more formal Japanese Christian Church of the Disciples of Christ in May of 1919. 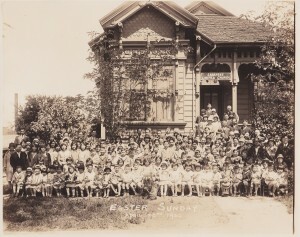 In 1914, the Japanese Methodist Church moved to a more permanent location at 2119 Channing Way, with Rev. Katahide Yoshioka, a seminary student at the Baptist Theological Seminary, leading the services. 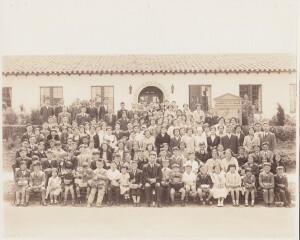 In 1926, Supt. Dr. Frank Herron Smith returned, having spent the years between 1905 and 1926 in Korea and Manchuria establishing 21 churches. Dr. Smith worked earnestly with Rev. Tagashira to lay a firm foundation for the missionary work of the church. In the meantime, at the Japanese Christian Church, Rev. Suzunosuke Kato planted a tiny seed, nourished by his inspiration and enthusiasm, which grew into one of the largest Christian youth confabs known as the Northern California Young Peoples’ Christian Conference. 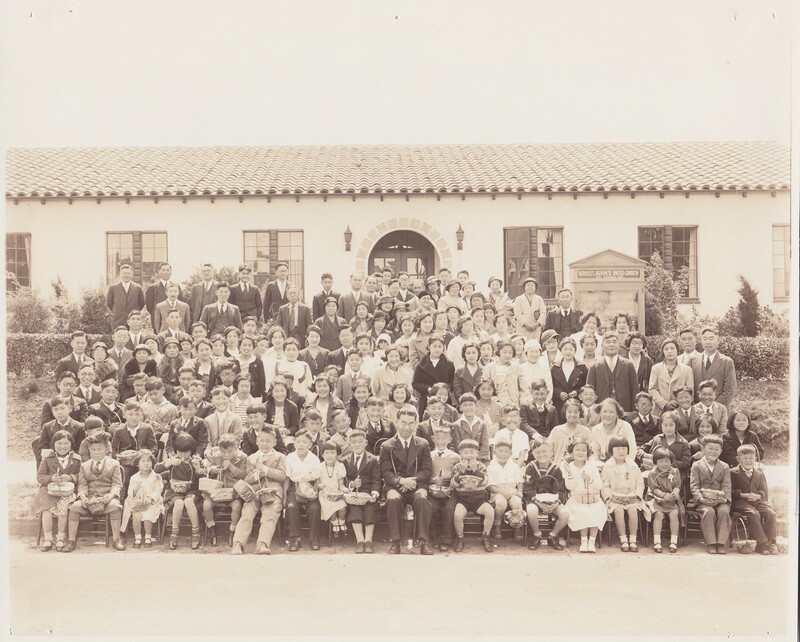 In 1929, the two churches were united into the Japanese Berkeley United Christian Church. Construction of a chapel at the Carleton and McGee site began in 1931 and the chapel was dedicated as the Kato Memorial Hall in 1932. During the internment of Japanese-Americans during World War II under Executive Order 9066, the church, once a house of worship, was boarded up as a storage warehouse for members’ furniture and household goods. At the end of the war, the church served as a hostel for church families returning to Berkeley. In 1950, the church was renamed the Berkeley Methodist United Church. In 1952, Rev. Lester E. Suzuki was appointed to the church as the first full-time bilingual Nisei minister. Construction projects at the now rapidly growing church included building a parsonage, a new main chapel, and a large social hall. The chapel was dedicated as the Dr. Frank Herron Smith Chapel on April 4, 1955 with Bishop Donald H. Tippett officiating. In constructing the new chapel, thousands of hours of volunteer labor, energetic planning time and great sums of money were contributed by members and friends of the church – we are forever grateful to them. The first Chicken Teriyaki Food Fair Bazaar was held on October 13, 1957 and still continues today. The featured food item is now BBQ ribs, which we think are the best in the West. 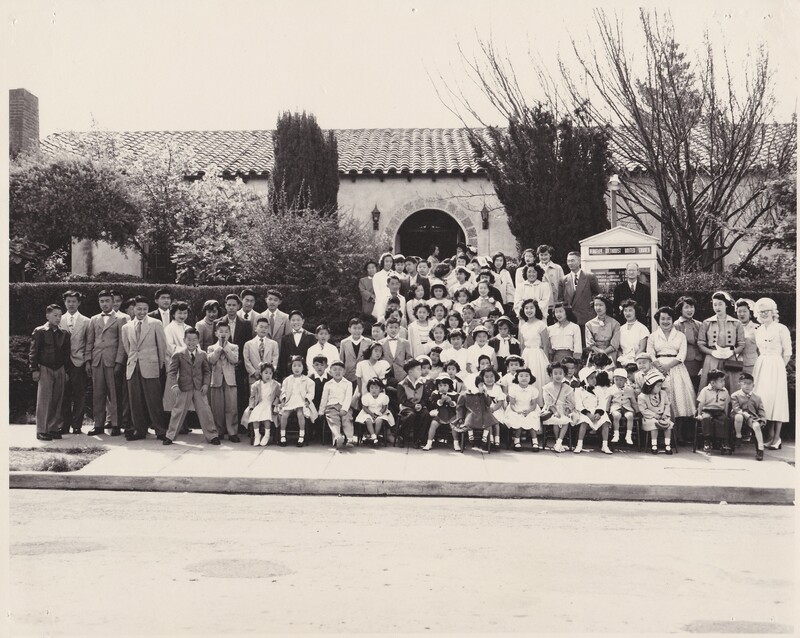 Under the leadership of Frank Yamasaki, an Issei Memorial Chapel and educational classroom were dedicated on October 14, 1962. To further beautify the surroundings of the chapel, a compact Japanese garden was donated by Mr. and Mrs. Tokuya Kako and designed and constructed by landscape architect Masaharu Imazumi. In 1977, Rev. Grant Hagiya became the first Sansei minister to serve BMUC. An innovation was the beginning of the Tri-Church Team Ministry concept between Buena Vista UMC, Lake Park UMC and BMUC, to share the strengths, skills and services of the respective ministry and congregations. In 1983, Michael Yoshii, a seminarian at Pacific School of Religion began the groundwork for a ministry to young adults and young families. With the assistance of Sherry Kitamura, the preschool became the largest class in Sunday School with 12 pupils. At a stained glass class taught by Rev. 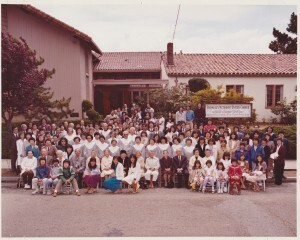 Alpha Goto in 1986, several church members constructed stained glass pieces for the Sanctuary. In 1987, Rev. Richard Yasuhiko Kuyama became the first Japanese Kyodan missionary sent to the US. In 1997, Rev. Naomi Southard began her inspirational ministry at BMUC. Under her leadership, our congregation became part of the Reconciling Ministries Network, an organization which supports the full inclusion of all people regardless of sexual orientation. She also helped to introduce our Congregational Care Ministry. This highly trained group of faithful servants journeys with people through the most difficult times in their lives. Rev. Naomi had a fierce heart for social justice and inspired us to be more engaged in the world around us. We have been blessed with a number of wonderful youth ministers during her time with us. In 2013 we were joined by Chaitanya Motupalli, who is our current Family and Young Adult minister, an expansion beyond the role of youth minister. In 2018, after 21 years, Rev. Naomi retired and Rev. Craig Yoshihara began his service at BMUC. As daring as was our past, we look into the unforeseeable future with new vision and inspiration, strengthened by the spiritual quality instilled by our Issei pioneers through the spirit of service, devotional Bible reading and intense, fervent prayers. This is our challenge – not to lose sight of God, to grow within, and to look straight forward to spreading the gospel of Jesus Christ into the mainstream of our community and into the world.